Tommy Little, 68, died Tuesday, August 14, 2018. A native of Halifax County, he was the son of the late Ernest T. Little Sr. and Daisy Merritt Little. 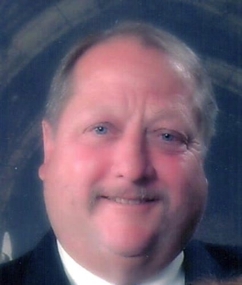 Tommy was a longtime employee of Winn-Dixie stores and retired from Rick Hendrick Automotive in Durham in the sales department, and he also served for many years with the Virginia Beach Fire and Rescue. Tommy was an avid golfer and fisherman, but he was most proud of being the worlds best Dad and Grandpa. Tommy is survived by his loving wife of 42 years, Renee’ Paschal Little, sons, Chad Thomas Little and his wife Heather of Roanoke Rapids and Steve Cheek of Timberlake, N.C., brother, Bill Little of Roanoke Rapids; brothers-in-law, Dean Thompson and his wife Ann, Bill Rogerson and his wife Susan, and Jim Paschal and his wife Shelly, grandchildren, Elizabeth Little, Justin Cheek and Victoria Little; nephews, Brian Short and David Little and his beloved dog, Spanky. A Memorial Service will be held Friday, August 17, 2018 at 4:00 P.M. at Rosemary Baptist Church with Dr. Layne Wallace and Dr. David Chambers officiating. The family will receive friends at the Church from 3:00 P.M. until time of the service, and following the service until 6:00 at the Church.